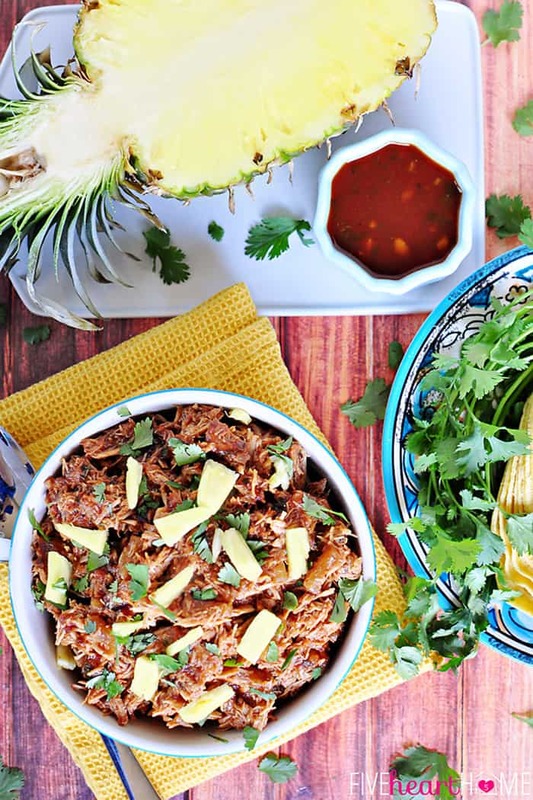 Succulent pork and juicy pineapple are slow cooked in the crock pot with a flavorful, homemade Pineapple BBQ Sauce, resulting in sweet and savory pulled pork for sandwiches, tacos, quesadillas, nachos, pizza, and more! Have I mentioned before that I big puffy heart my crock pot? I think I may have…a time or twelve. But did you know that one of my favorite things to cook in the slow cooker is pork? And that I consider pork and pineapple to be a match made in heaven? I suppose that’s what I get for being born in Hawaii… But if you happen to agree, you are going to love what I have in store for you today! The crock pot is so great for cooking big hunks of meat and then shredding them, whether that involves beef, chicken, or pork. Of course, it’s easy for such recipes to all end up tasting somewhat similar. 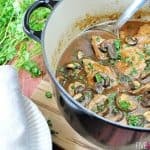 I really try to get different flavors out of my trusty slow cooker, and that’s probably why I enjoy this recipe so much. It’s pulled pork…with a kick. I mean, who doesn’t love traditional pulled pork? 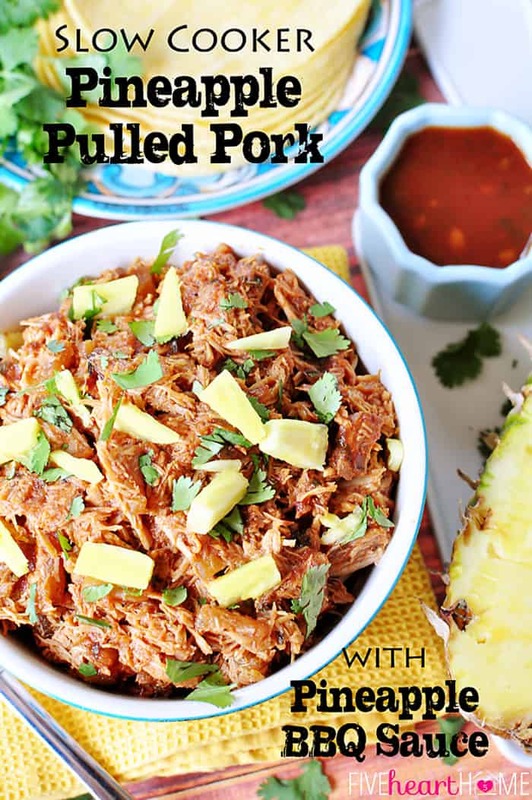 But when you cook your pork with chunks of pineapple and then mix in a flavorful, homemade, Pineapple Barbecue Sauce, you’ve just elevated pulled pork to the next level! In my humble opinion, the barbecue sauce is the unquestionable star of this recipe. 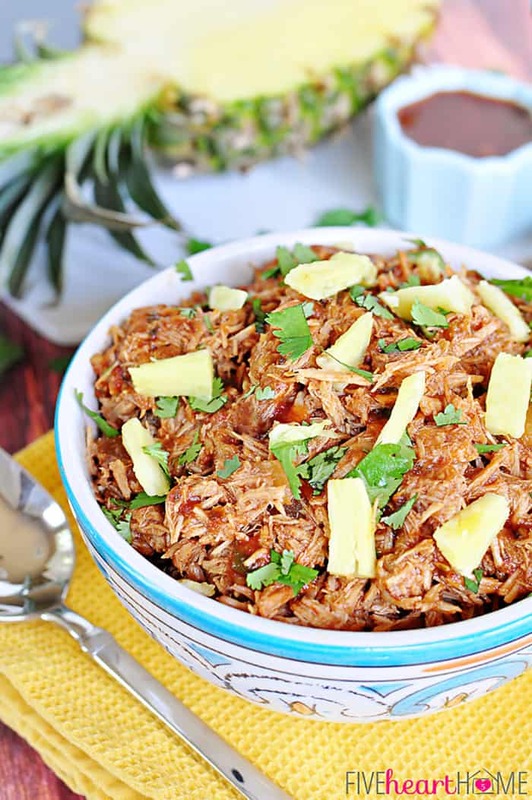 Most variations of Pineapple Pulled Pork that I’ve seen incorporate pineapple chunks and bottled barbecue sauce. This sauce, however, has so much more pizzazz than regular BBQ sauce. True to its name, its most predominant undertone comes from pineapple juice. But it also boasts the sweetness of honey and molasses countered by the bite of apple cider vinegar and the acidity of ketchup. It’s the fresh ingredients that really shine, however, including garlic, ginger, and cilantro. How could that combo not result in an explosion of flavor?! In fact, can I be honest here? I don’t even need the pulled pork. I could just drink this Pineapple Barbecue Sauce on its own. Hand me a straw. Perhaps the most obvious way to enjoy pulled pork is to pile it on top of a pillowy bun along with a creamy coleslaw of some sort, or — if you just can’t get enough — topped with additional rings of grilled pineapple. Then there are tacos! I think this pork would be delicious on fresh corn tortillas, topped with guacamole, shredded PepperJack cheese, and chopped fresh cilantro. You could also turn that same combo of ingredients into some pretty kickin’ quesadillas. Or even enchiladas? That’s one I haven’t tried, but it definitely sounds promising. Orrrr, you could sprinkle this pineapple-studded pork on top of a platter of tasty nachos or across a Pineapple Pulled Pork Pizza with Bacon, Jalapeños, & Cilantro. I have some delicious ideas brewing for that latter suggestion, so stay tuned to see what I come up with! Check out the link above for that amazing recipe! 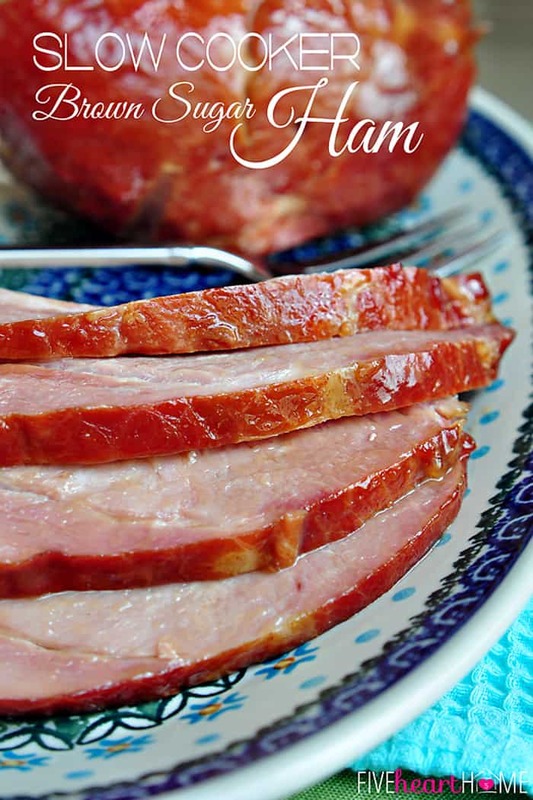 Trim fat from pork and pierce all over surface with a knife. Liberally season all sides with garlic salt and pepper and place in slow cooker. Pour can of pineapple tidbits and juice on top. Cover and cook on low for 8 to 10 hours. An hour or so before pork is done, prepare Pineapple Barbecue Sauce. Combine pineapple juice, garlic, ginger, jalapeño, and cilantro in a medium pot. Bring to a boi, reduce heat, and simmer for 10 minutes, stirring every few minutes. Stir in ketchup, vinegar, honey, molasses, Worcestershire sauce, soy sauce, and pepper. Cook on low for 15 more minutes. Remove from heat. Remove pork from slow cooker and place on cutting board. 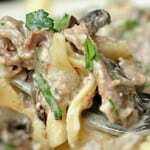 Discard fat, cut meat into chunks with a knife, and then shred chunks with two forks. Drain liquid from slow cooker (reserving about a cup) and add shredded meat back to crock pot. Stir in Pineapple Barbecue Sauce. You may add a splash of reserved cooking liquid if sauce seems too thick. Heat on low for 30 minutes to 1 hour or until warm. Although it's leaner and more expensive, I sometimes use pork loin instead of pork shoulder if that's what I have on hand (but it doesn't turn out as moist). If you have fresh pineapple, feel free to use it. 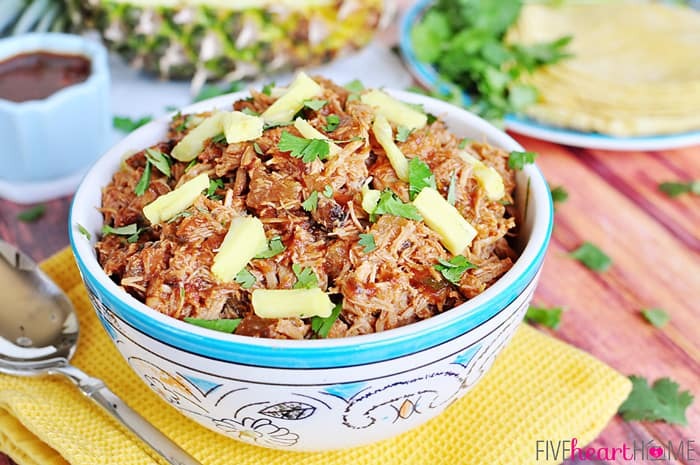 But since it gets pretty cooked down after so many hours in the slow cooker, I typically use canned pineapple for this recipe. Then depending on how I use the finished pulled pork, I often use fresh pineapple chunks for garnish. When I buy a big hunk of fresh ginger, I keep the unused portion in the freezer until the next time I need it. Then I peel a small section and use a microplane to grate the amount I require (while still frozen). This barbecue sauce is not too spicy using only one jalapeño (as long as you remove all seeds and membranes). For more heat, feel free to add an extra jalapeño! Since the sweetness of pineapple juice may vary, you might want to add the honey gradually and to taste, rather than all at once. Barbecue Sauce adapted from Tasty Kitchen. 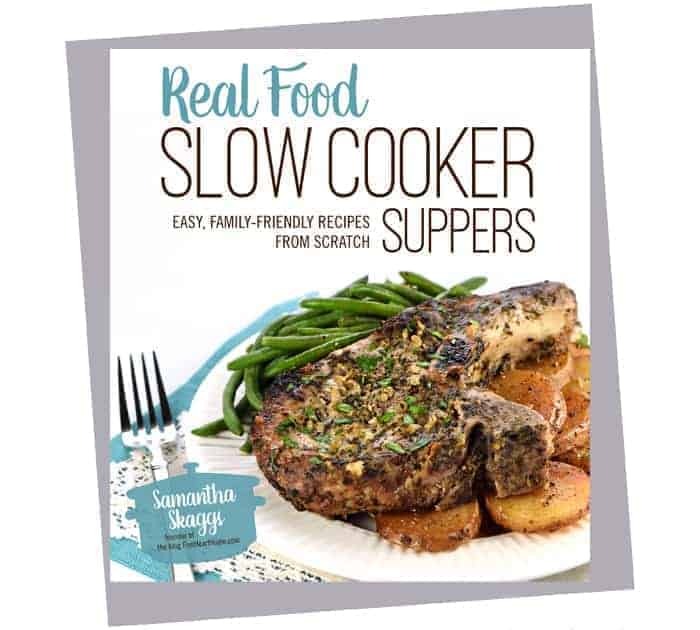 MORE slow cooker recipes with real food ingredients! 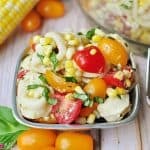 See our SUMMER recipes <<< HERE! 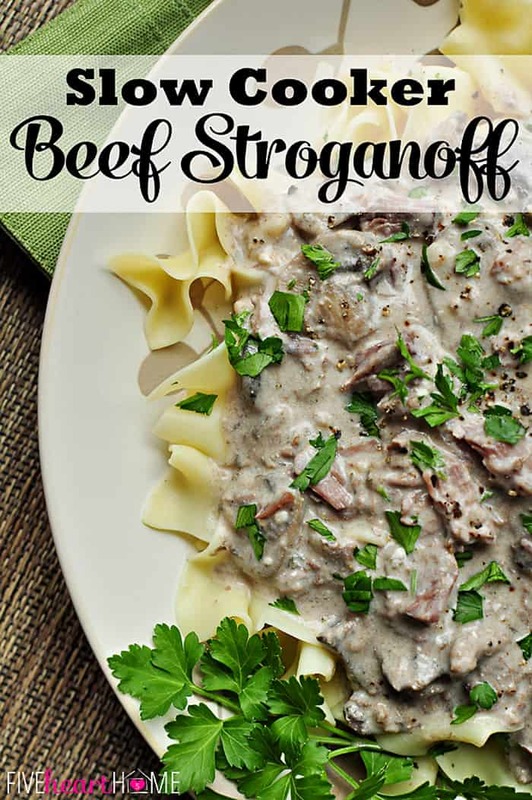 Slow Cooker Beef Stroganoff ~ No ‘Cream of X’ Soup! 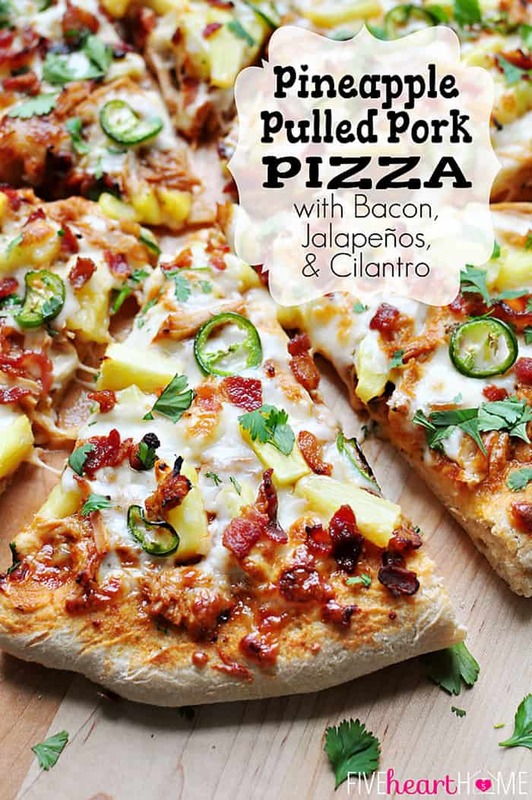 This sounds so good, especially with the pineapple. Love the pulled pork slow cooked! Thanks so much, Matt! 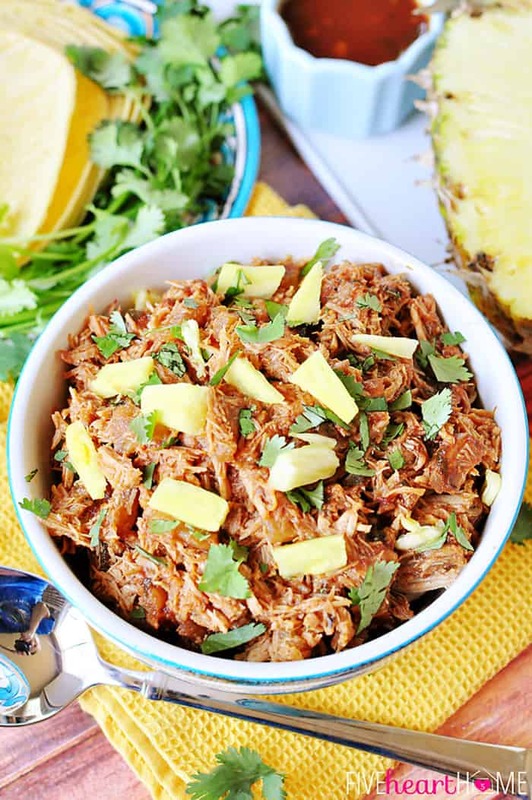 I’ve always loved pineapple and pork together, and of course, anything in the slow cooker is a winner. 🙂 Happy Friday…have a great weekend! Thank you, Britni! Much like bacon, I think pineapple makes everything better. 😉 Happy Friday…enjoy your weekend! I am totally in the BFF Slow Cooker Club with you, Amy…I don’t even care if that makes me old! And I’ve had a life-long love affair with pineapple, so incorporating it into everything I can is a given. 😉 Thanks so much for stopping by…happy Friday! Are you kidding me??!!! 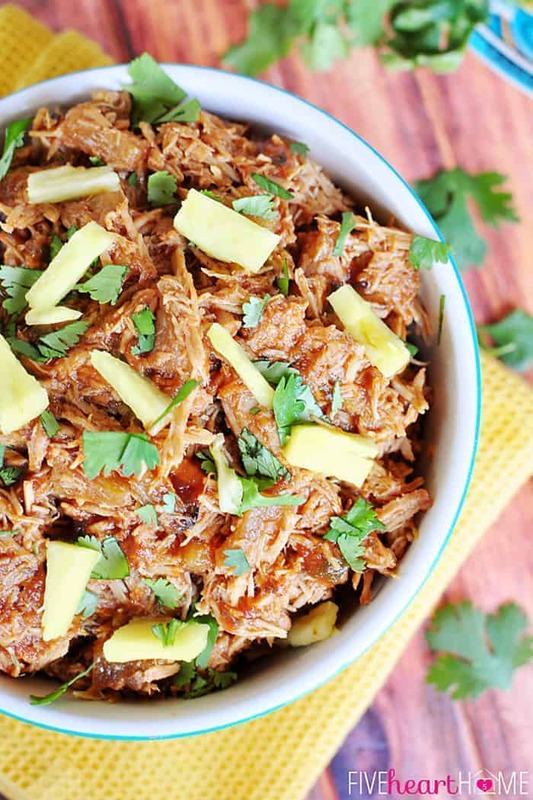 I can’t get enough of shredded pork – I need this – ALL of this. YUM!!!!!!!!!!!!! Stopping by from Create It Thursday. This looks delicious and your pictures are amazing! Thanks for sharing, pinning onto our Crockpot Board. Thanks so much for hopping over, Melinda, and for your sweet comment. 🙂 I also appreciate the pin! Happy Friday, and I hope you have a great weekend! 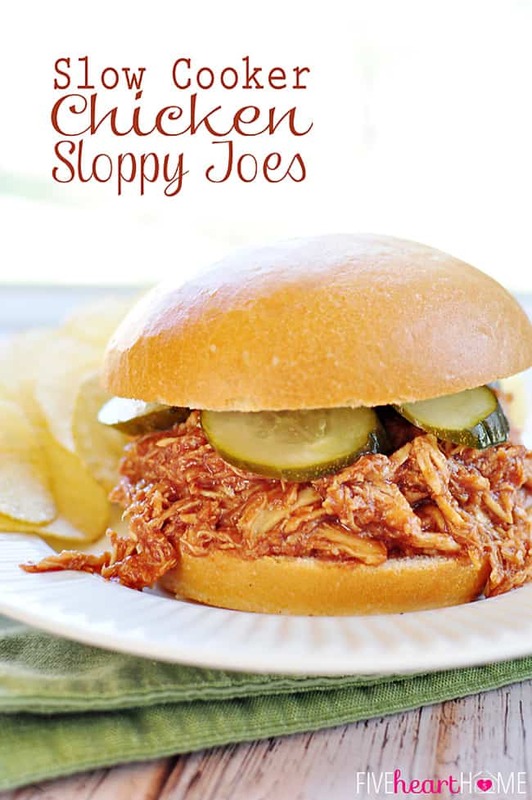 I think pulled pork is one THE best dishes a slow cooker makes. Of course it’s all in the sauce. So I had to pin this version because I love love your sauce! I couldn’t agree with you more, Carol! I love cooking pork in the slow cooker. And not to toot my own horn, but this sauce is soooo good…I’m trying to think of other uses for it! 😉 Thanks, as always, for stopping by…hope you have a wonderful weekend! 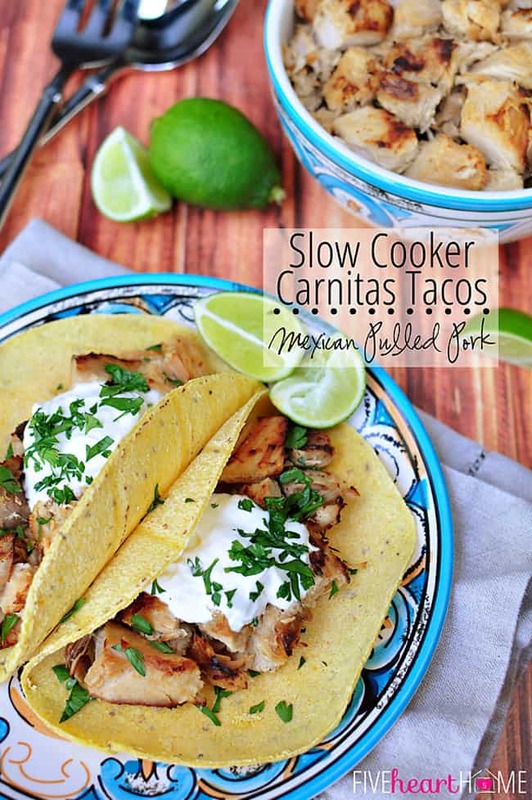 love anything slow cooked.. this looks too delicious! Thank you, Thalia! You just can’t beat a good crock pot dinner, right? 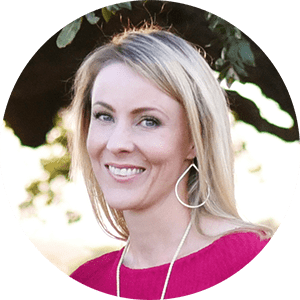 😉 I’m so glad you stopped by…have a great weekend! That looks amazingly good Samantha. Love the pineapple. This sounds so good! 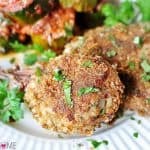 The slow cooker is my best friend and my all time favorite for pork! Thanks! Thanks so much, Bri! 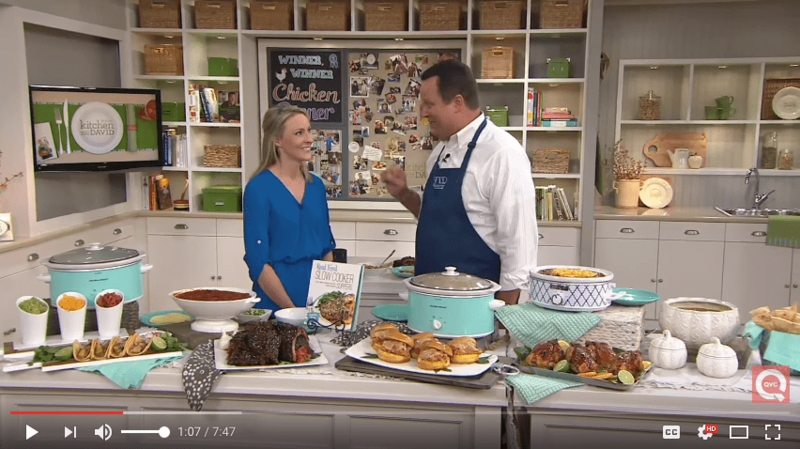 I totally agree…I couldn’t function without my slow cooker, and pork is one of my favorite things to cook in it. 🙂 Hope you enjoy this one…I appreciate you stopping by! This is beyond scrumptious! I cooked this for our most recent Saturday supper and got raves! We had enough left for sandwiches the next day and tacos last night. Thank you so much for another winner! I made this last night for me and my parents and it was a hit. I just wish it had a little bit more pineapple taste, maybe I didn’t let the sauce reduce as long as I should have. Overall it was great! I will be making it with rice tonight for dinner and I will put this in my dinner rotation. Thanks! I’m so glad this was a hit at your house, Kayla! I’m not sure how to make the sauce more pineapple-y since it already starts with pineapple juice, but hopefully a little extra time reducing it will do the trick the next time you make this. 🙂 Thanks for taking the time to leave a comment…hope you have a great weekend! I hate to say it, but this way way too sweet. The recipe looked delicious but we weren’t fans. With the pineapple juice, molasses and honey it felt like a desert. We tempered it by adding more vinegar and spice and serving with a slaw that didn’t have any sugar. I’m so sorry to hear that your family didn’t enjoy this, Jenny. I know that everyone has different tastes as far as sweetness, but I’m wondering if the variety of pineapple juice used could make a difference in how sweet this sauce turns out? I used a natural, unsweetened variety that honestly wasn’t very sweet. I just did some research, and it looks like most pineapple juice is unsweetened, but I’d be curious to read labels and compare the sugar content of different brands. Anyway, I apologize again that this recipe didn’t work out for you, and I appreciate your comment. I’ll add a note at the bottom of the recipe suggesting adding the honey to taste, since the sweetness of pineapple juice may vary. Have a great weekend!